Our teams continue to stay a step ahead and remain conscience of our behaviors both in the field and in the office. 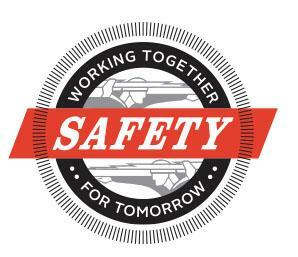 As part of that effort, our company-wide Behavior Based Safety (BBS) program is designed to raise awareness and get every employee involved in our positive safety culture. BBS observations are short but effective. Essentially, the person conducting the evaluation will ask a co-worker’s permission to observe their behavior for five minutes. After the time is up, the observer will share positive observations as well as suggestions about what could be improved to reduce risk of an injury. The entire process should take less than 10 minutes and information gathered from observations will be used to tailor our refresher safety classes. Even if the person being observed followed all safety procedures, there is always opportunities to learn from a fresh perspective. For example, someone observing from a different standpoint may notice an environmental hazard or a fault in equipment unbeknownst to the person doing the work. Every employee is required to conduct one BBS observation for every 160 hours worked. For full-time employees, that averages out to approximately one BBS observation per month. Employees can log into eCompliance to access BBS forms and check the date of their last observation. More information about BBS is now included in all safety training, including orientation and refresher classes, but employees are welcome to contact the Safety Department with questions at any time and they will be glad to help however they can. Thanks for everything you do to work together for a safer tomorrow.